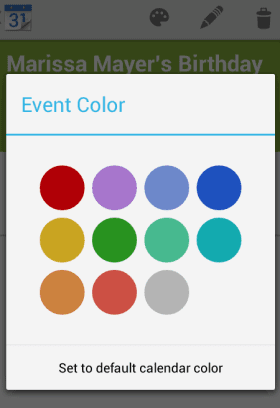 Google Calendar's app for Android has been updated with new controls for selecting time, date, timezones, colors and editing repeating events. I wonder if the next Android version will use these controls instead of the existing pickers. Selecting the time is a 2-part process: you first select the hour and then the number of minutes. 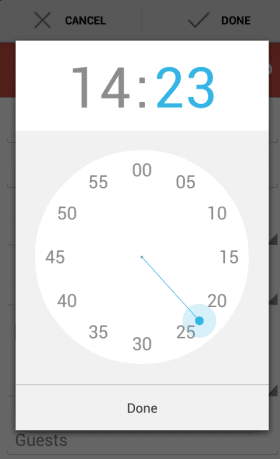 The time picker is based on a real 24-hour clock. Selecting the date is straightforward: Google uses a scrolling calendar that's great for picking a date from the current month or next month. 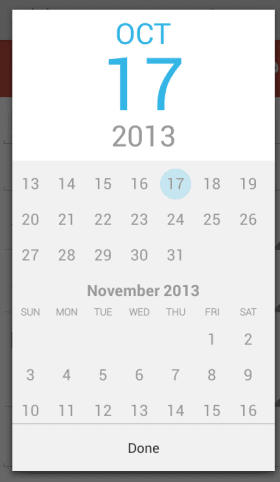 If you want to pick a date from a different year, tap the year and you can quickly switch to 2014, 2015 or any other year. 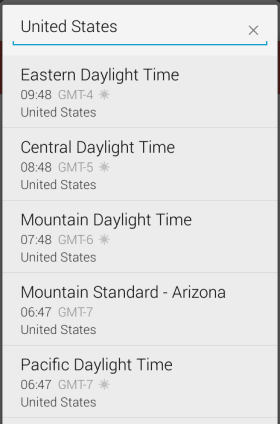 Here are the standard time/date Android pickers that were previously used by the Google Calendar app. "Each picker provides controls for selecting each part of the time (hour, minute, AM/PM) or date (month, day, year). Using these pickers helps ensure that users can pick a time or date that is valid, formatted correctly, and adjusted to the user's locale." The control for repeating events looks much better. 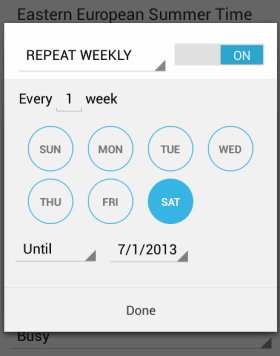 "You can now set events to repeat every Tuesday and Thursday, every month, or every 7 weeks, it's completely up to you," informs the Android blog. 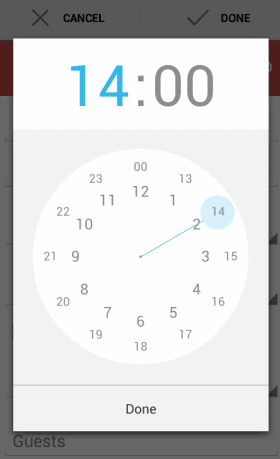 There's also a different way to select time zones: instead of showing a long list of time zones, countries and regions, Google Calendar lets you enter the country name and it displays the relevant time zones. I've found it easy to compare the old and new controls because my phone has both the stock Calendar app and the Google Calendar app from Google Play. It's a good idea to disable the notifications for one of the apps if you don't want to get multiple notifications for the same event. 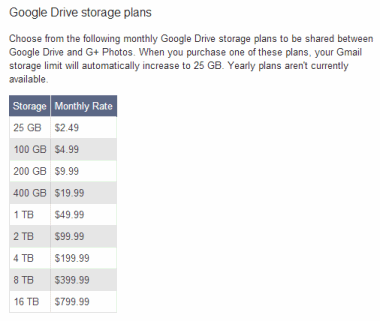 As previously anticipated, Google's 25GB plan will no longer be available for new users. It was the most affordable storage plan: $2.49/month. Now the cheapest plan offers 100GB for $4.99/month, but it's shared storage that can be used in Google Drive, Gmail, and Google+ Photos. "Store up to 15GB in Google Drive, Gmail, and Google+ Photos, and then pay for additional storage as your account grows," informs Google. Paid storage no longer increases Gmail's storage limit to 25GB, but now the entire storage is shared between Google Drive, Gmail, and Google+ Photos. You can still find the old plans here, so I suggest to choose the 25GB plan if you need more storage because it will be removed soon. You'll also get some additional Gmail storage. Existing users will keep the old plans. 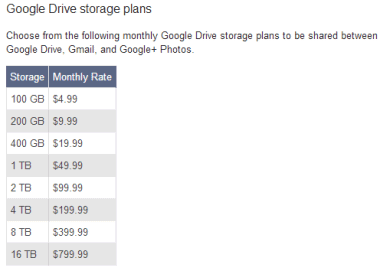 "If your account lapses, your credit card is declined, or you choose to change your storage plan in any way (upgrade or downgrade), you'll be asked to choose from among the new Google Drive storage plans. Once you choose a new plan, you'll no longer be able to switch back to the old one." I still have the plan that offered 20GB of storage for only $5/year. After Samsung Galaxy S4, it's time for HTC One to get a Nexus Edition. It will be available on June 26 from Google Play US for $599, $50 less than Samsung's flagship. "The unlocked device will run on both AT&T and T-Mobile in the United States with support for high-speed LTE data on both networks. This 'Nexus user experience' version will contain 32GB of built-in storage. Much like the special edition Samsung Galaxy S4 unveiled during I/O, Google will be directly handling future software updates," reports The Verge. 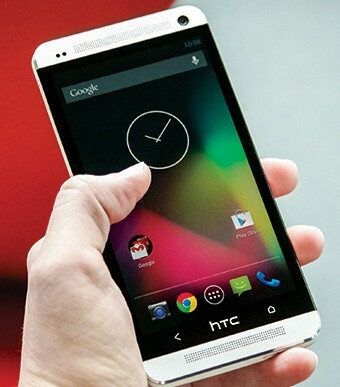 The Google Play version of HTC One will run stock Android, but it will have the same hardware like a regular HTC One. For example, it will have an infrared blaster that can't be used by Google's software because the stock Android 4.2 doesn't support IR. It's likely that a future Android update will add native support for infrared sensors. I've mentioned in the post about Galaxy S4 that the Nexus Edition is great for Google, phone manufacturers, developers and users. Even if you don't buy this phone, you'll be able to install Google's software or a custom ROM that uses it. Why use the stock Android instead of HTC's Android flavour or Samsung's Android flavour? It doesn't include so much bloatware, it's faster and easier to update. You'll miss features like HTC's Zoe or Samsung's Smart Pause, but you'll get a phone that's more responsive, has a modern interface and can take advantage of the latest software updates. Still, Nexus Edition phones aren't Nexus phones, so don't expect the same experience. The software wasn't designed with this hardware in mind. Maybe the 'Nexus user experience' project has a different goal: show the difference between the pure Android and custom Android, running on the same devices. Maybe this will convince users that the stock Android is better and phone manufacturers will have to use it or at least provide an option to switch to it. As the stock Android improves, it's time to use it and build upon it, instead of hiding it behind useless features. 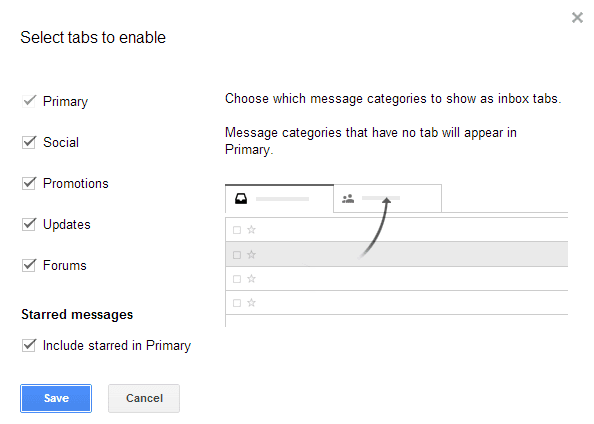 Some of you have already seen this screen in Gmail, which shows that the new inbox tabs have been enabled for your account. 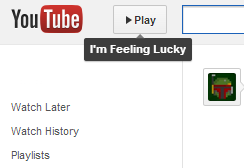 If not, click the gears button and see if you can find "Configure inbox". Click this menu item and you can use the new feature. If you can't find "Configure inbox", check back later. It's important to keep in mind that the tabs only show the messages from your inbox. If you have filters that automatically archive messages, you'll not see them in the new tabs. If you've used the SmartLabels feature from Gmail Labs, you can delete the associated labels and filters after disabling the feature. Filters look like this: Matches: label:social-updates Do this: Skip Inbox. SmartLabels had the following names: social updates, promotions, notifications, forums. Inbox tabs replace the SmartLabels feature: instead of archiving messages, you can keep them in your inbox, but in separate tabs. 1. Click the "+" button to hide or show tabs. You can hide all the tabs except Primary to go back to the old inbox. This doesn't disable categorization, so you can use all the tips from the Categories section (starting from #6). 2. Starred messages are added to the Primary tab, but you can disable this option by clicking the "+" button and unchecking "include starred in Primary". 3. Drag inbox messages to a different category or right-click and select "move to tab". 4. Tabs show the number of unread messages and a list of senders. The inbox unread count only shows the number of unread messages from the Primary tab. 6. There's a new Categories list in the sidebar that lets you find all your notifications, promotions, social updates, not just the messages from your inbox. The list is still displayed if you hide some inbox tabs, but you can collapse it. Click "Categories" to see the messages from all the categories. 7. Search for category:updates, category:social, category:forums, category:promotions to find these messages. 8. You can create filters that use these categories. For example, create a filter that forwards all forum-related messages to a different address. 9. Create filters that exclude messages from these categories by enabling "Exclude from SmartLabel categorization" in the filter editing dialog. 10. 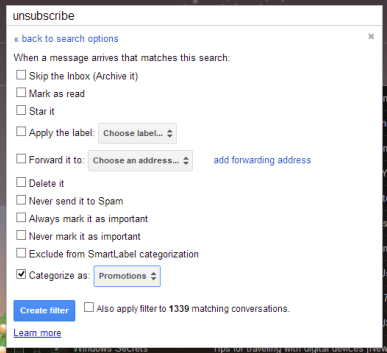 Help Gmail categorize messages by creating filters and selecting "categorize as". For example, send all messages that include "unsubscribe" to the Promotions category. 11. You can also drag messages to the sidebar categories and use feature like "move to" or "labels" to categorize messages. The list of categories is displayed below your labels. Gmail had a cool Labs feature that allowed you to read messages without opening them. Message Sneak Peek displayed the first sentences from a message when you right-clicked it. You could use keyboard shortcuts to navigate to the previous or to the next message, so this was a great to quickly read messages. The Labs experiment is no longer available and now Gmail has a contextual menu that shows features like "move to inbox", "archive", "delete", "mark as read/unread", "move to tab" (for inbox messages). 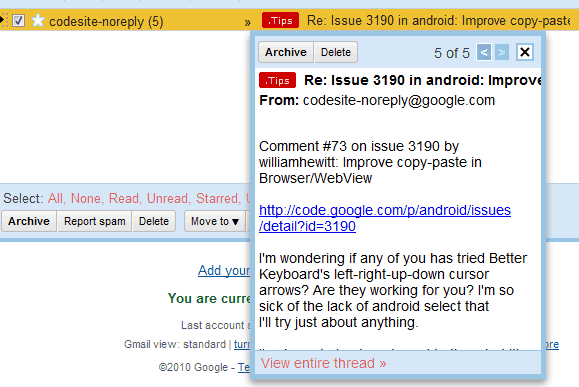 You can select multiple messages, right click and use one of the features that were also included in the Gmail toolbar. If you're missing Sneak Peek, try Preview Pane, another Labs experiment that lets you read messages in a vertical/horizontal pane like in Outlook or Gmail for tablets. Don't forget that "Gmail Labs is a testing ground for experimental features that aren't quite ready for primetime. They may change, break or disappear at any time." Gmail has a new favicon that looks like the icon used by Gmail's Chrome app. It's also close to the iOS app's icon. In this screenshot, the first tab shows new the new favicon, while the second one shows the old favicon. There's also a bigger version of the new favicon. 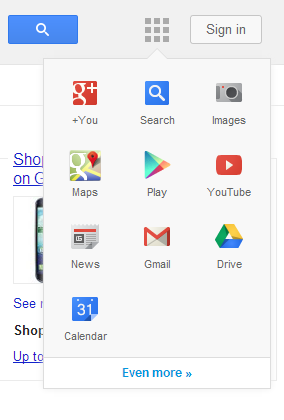 Here's the same icon in Chrome's new tab page. The Gmail app for Chrome is installed by default. If you don't see the new favicon, reload Gmail using F5 or Ctrl+F5. If you don't like the new icon, you can go back the old one by enabling "Unread message icon" in Gmail Labs. This feature only works in Chrome, Firefox and Opera and it lets you see "how many unread messages are in your inbox with a quick glance at the tab's icon". I was surprised to see an ad for Chrome when visiting Google's homepage in Safari for iPad: "Browse fast on your iPad. Install Google Chrome." Chrome for iOS is not fast, it's a lot slower than Safari and that's not Google's fault. It's even a little bit slower than other third-party browsers. Even the Chrome for iOS homepage claims that you can "browse fast and sign in to bring your Chrome experience from your computer, anywhere you go". Sure, Chrome combines the address bar and the search box, preloads web pages and shows the most visited pages, but it's not a faster browser than Safari. I've previously posted about Google's experimental app launcher that replaces the black navigation bar. 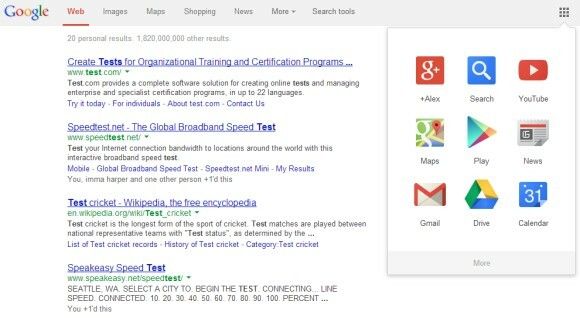 It's the perfect fit for the Chrome integration with Google search, which also removes the search box from Google SERPs. 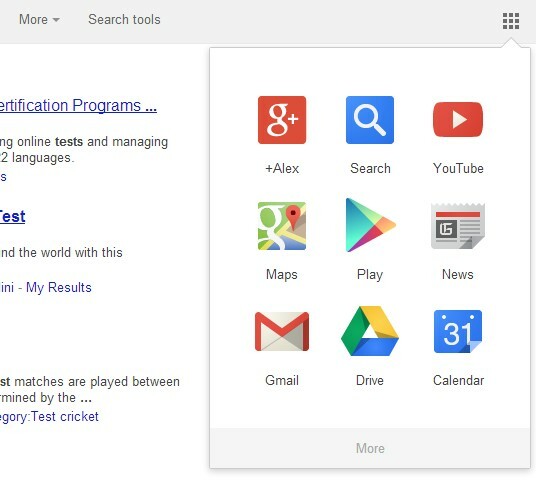 Google tests a new version of the app launcher in Chrome: it's huge and you can click "more" to see other Google services. I've managed to get the new interface using this URL in Chrome. Gmail has a lot of cool features that let you organize mail, but not many people use them. Creating filters is complicated and manually labelling messages is time consuming. That's why Google added features that automatically classify messages: Priority Inbox finds important messages, Smart Labels categorizes messages and lets you find notifications, bulk messages or automatically archive them. 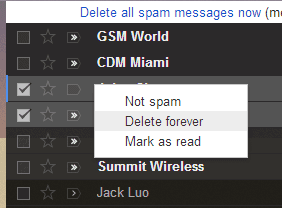 Gmail also has different inbox styles that prioritize important messages, starred or unread messages. 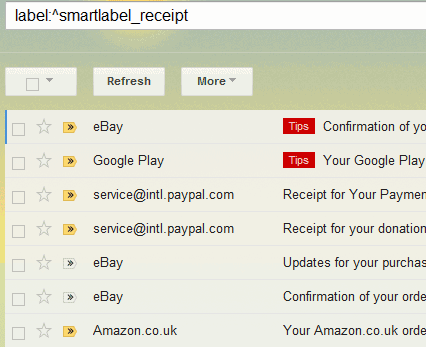 Now Gmail's inbox started to include a few tabs powered by Smart Labels, a feature from Gmail Labs. "On the desktop, the new inbox groups your mail into categories which appear as different tabs. (...) Your inbox is organized in a way that lets you see what's new at a glance and decide which emails you want to read when. You can easily customize the new inbox - select the tabs you want from all five to none, drag-and-drop to move messages between tabs, set certain senders to always appear in a particular tab and star messages so that they also appear in the Primary tab." There are tabs for social updates from sites like Facebook, Twitter, YouTube or Google+, promotions (newsletters, offers and other bulk messages), notifications/updates (confirmations, bills, receipts), forum messages (online groups, discussion boards, and mailing lists) and a primary tab that shows all the other messages. This way, you can focus on important messages and read everything else later. The Smart Labels feature also has a checkbox that allows you to automatically archive messages, so that notifications, newsletters and social updates skip the inbox. 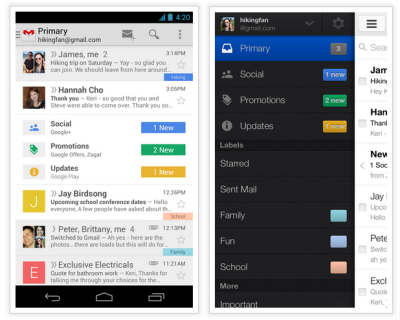 A similar feature will be added to the mobile Gmail apps for iOS and Android. The nice thing is that inbox tabs are customizable, so you can hide some of them or even all of them. The new feature will roll out in the coming weeks, but the updated mobile apps should be available sooner. Until then, try Smart Labels. Gmail shows this message when you mark as spam a mail from your contacts: "Did your contact actually write this message? You marked this message as spam, but the sender is in your contact list. If this message seems suspicious, let us know then tell your contact that their email account might have been compromised and used to send fraudulent messages." As you probably know, adding someone to your contacts is the best way to make sure that the messages aren't flagged as spam. When you mark a message as spam, it's likely that the following messages sent from the same address will be flagged as spam by Gmail. So there's a conflict and Google tries to fix it by assuming that the email account has been compromised. "Normally, we'd expect that you would want to get messages from people on your Gmail contact list. So when you mark one as spam, we'd like to understand why. [When you] click 'Message looks suspicious' within the alert, the message will be marked as 'sent from a compromised account,' and you'll send a report to the Gmail team to help us improve our detection of compromised accounts. Your contact's account will not be penalized and you'll continue to receive messages from this account in the future." Unfortunately for Gmail, the mail that triggered this alert wasn't sent by one of my contacts, so this feature doesn't work well. 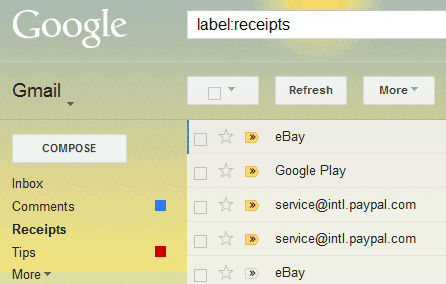 Here's a way to find your receipt messages from Gmail: search for label:^smartlabel_receipt. This feature is powered by the Smart Label experiment from Gmail Labs, but you don't need to enable that experiment. 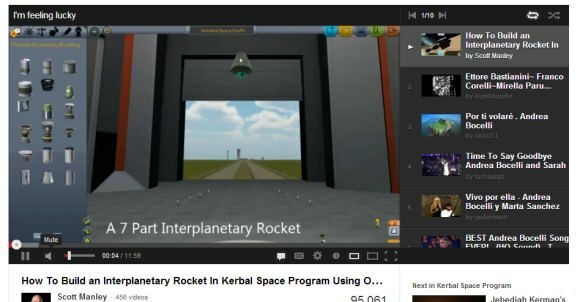 Last year, Google Drive added an advanced image search feature powered by Goggles that recognizes objects and uses OCR technology to extract text. 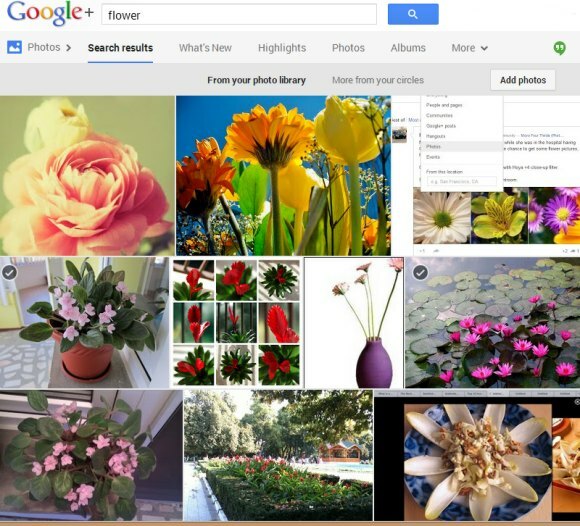 The same feature is now available in Google+: search for [sunflower], click "More", restrict the results to "Photos" and select "Most recent". 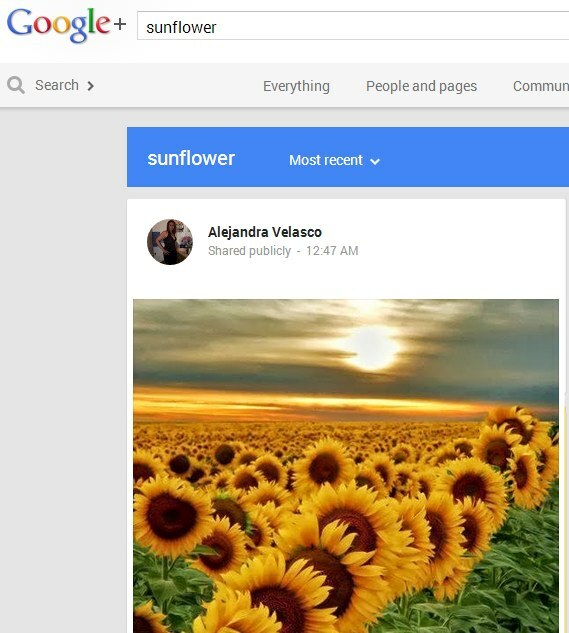 You'll find sunflower images from Google+ posts that don't even include "sunflower", not even in the image filename. This also works for the images you've uploaded to Picasa Web Albums/Google+ Photos or the images uploaded by your circles. 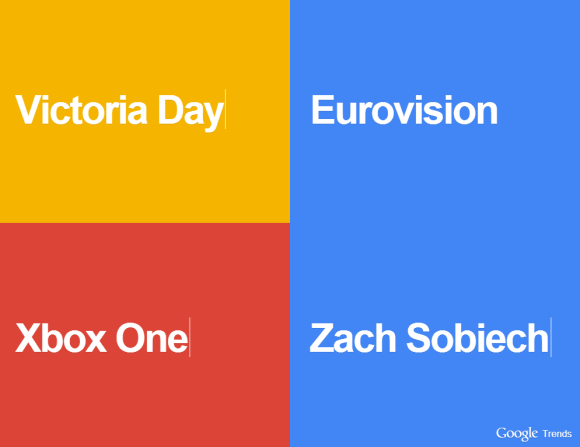 Google Trends has a new section that shows monthly popularity charts for topics like scientists, cars, movies, songs, people, animals, chemical elements and more. Charts are limited to the US for now and they show the most popular things, not the "movers and shakers". 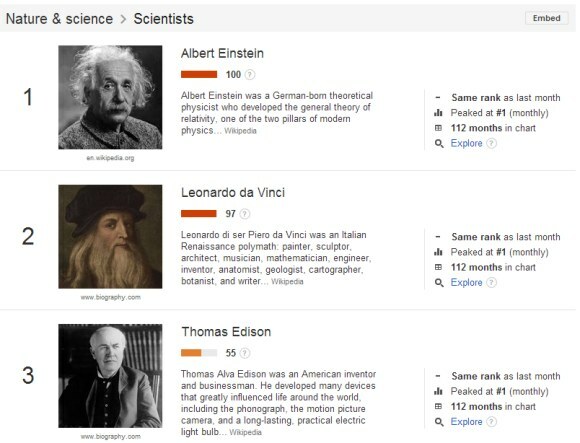 Google uses the Knowledge Graph to restrict the charts to real-world things and "measures interest in a broader topic, so it might also count different searches with the same meaning". 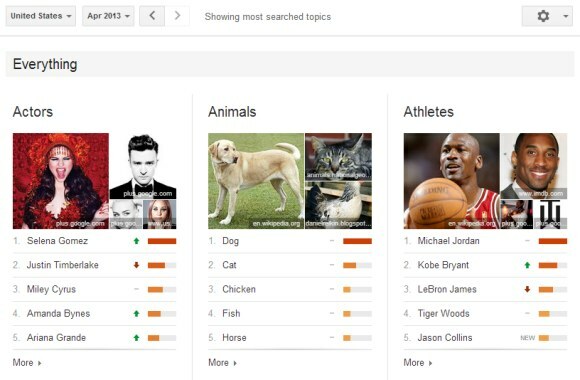 "Top Charts are lists of real-world people, places and things ranked by search interest. They show information similar to our Year-End Zeitgeist, but updated monthly and going back to 2004. To check them out, go to Google Trends and click 'Top Charts' on the left-hand side," informs Google. Google Trends shows information from Wikipedia, links to Google+ or other top search results, the number of months in chart and the previous month's rank. 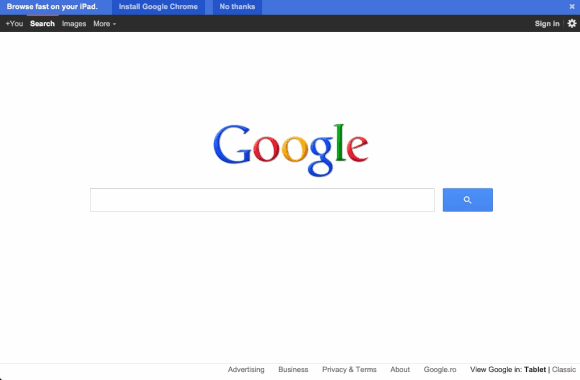 Google also added a Metro-inspired page that lets you visualize hot searches in full screen. Mouse over the top-left icon to show multiple searches at the same time and click the country name at the bottom of the page to switch to a different country. Reminders are a new feature in the latest version of the Google Search app for Android. You can create reminders using voice search and Google Now will show notifications. Now you can also create reminders from the desktop Google Search when you search for events. 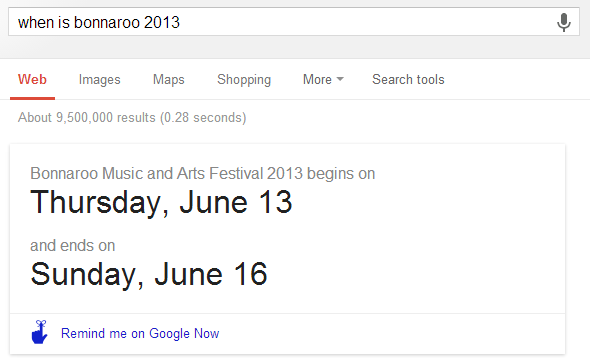 Use queries like [when is bonnaroo 2013? ], [when is the first day of summer? ], [halloween day] and Google shows a link that says: "Remind me on Google Now". Click the link and "Google Now will remind you 1 week before." For now, notifications are only available if you use the Google Search app for Android, which also lets you manage reminders (delete reminders and set new ones). 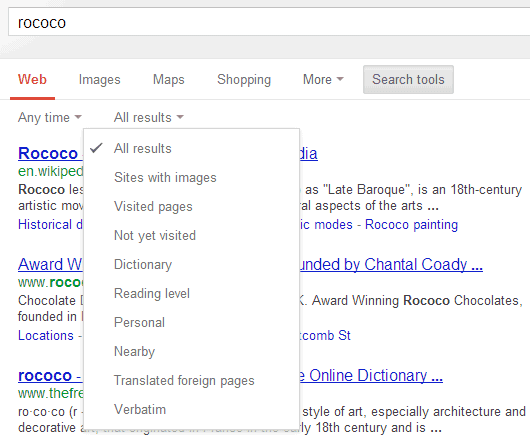 Google removed yet another advanced search tool: cross-language search. It was available in the "Search tools" menu as "translated foreign pages" and it allowed you to find pages written in other languages. Google automatically suggested a few languages for your query, but you could manually add other languages. Your query was translated into all these languages, Google performed multiple searches for the translations, compiled a list of results and translated titles and snippets into your language. 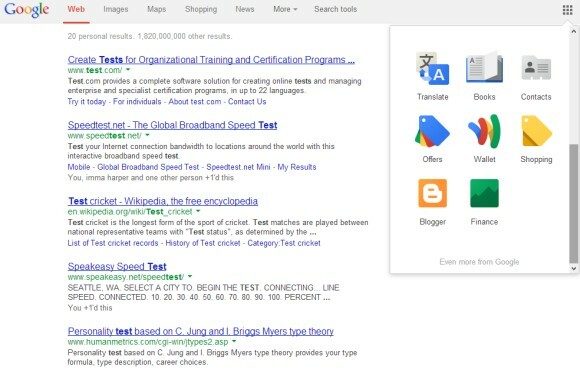 "If you're traveling and want to find hotels, restaurants, activities or reviews written from a local perspective, or if you're just curious to find what's being written about a company, product or topic in another language, give Translated search in the Search Options panel a try," suggested Google at that time. The feature was first available in 2007 as part of Google Translate, but the initial version supported a single destination language. "Now, you can search for something in your own language (for example, English) and search the web in another language (for example, French). If you're looking for wine tasting events in Bordeaux while on vacation in France, just type 'wine tasting events in Bordeaux' into the search box on the 'Search results' tab on Google Translate. 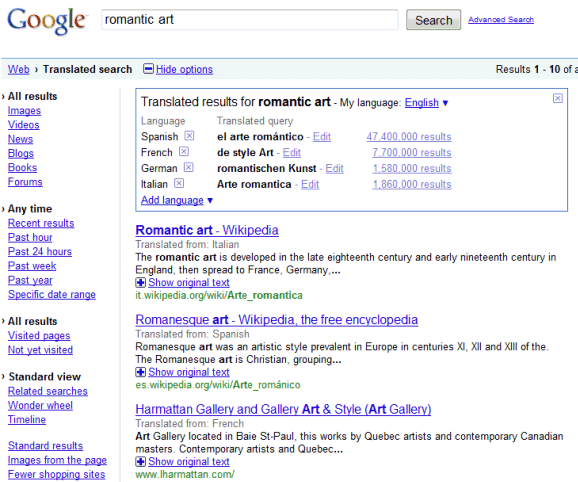 You'll then get French search results and a (machine) translation of these search results into English," informed Google. It's sad to see this feature disappear because it was very powerful and difficult to replace. It integrated Google Translate and Google Search, so Google performed multiple translations and searches just to shows you 10 cross-language search results. Why was it removed? "The translate foreign pages feature is no longer offered. Removing features always involves tough choices, but we do think very hard about each decision and its implications for our users. You can still translate entire pages in Chrome. Streamlining enables us to focus on creating beautiful technology that will improve people's lives," explained Google. Most likely, not many people used this feature. I assume that most "search tools" features are rarely used and the same thing is true for other features for power users: advanced search, operators. They're not obvious, they're difficult to use and few people need them. As Google focuses more on answering questions, I expect to see fewer and fewer advanced search features and that's disappointing. Google likes to discontinue products without waiting until it launches some proper replacements. 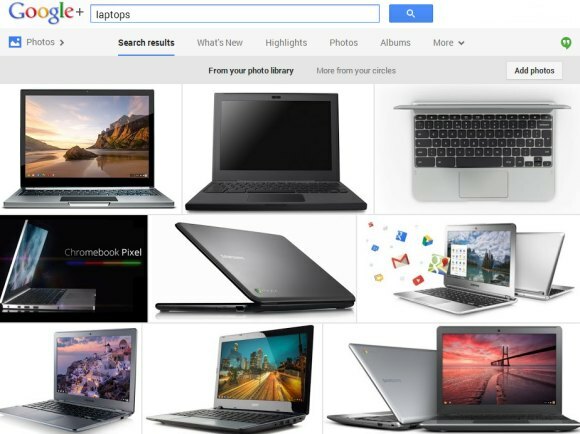 Lately, Google closed products that were used by millions of people. There's a race to destroy everything that was built by the old Google and build new products that are aligned with the most important features of the new Google: social and mobile. 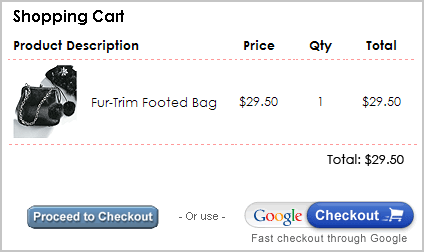 Google Checkout is one of those old products. It was launched in 2006 as an effort to improve online shopping and to offer more value to AdWords advertisers. "One cool feature of Google Checkout is that you can buy from stores with a single Google login – no more entering the same info each time you buy, and no more having to remember different usernames and passwords for each store. To help you find places to shop, you'll see a little icon on the Google.com ads of stores offering Google Checkout," explained Google at that time. Google Checkout was free for merchants until 2008, then Google started to increase fees until it moved to PayPal's tiered pricing. Then Google Checkout became less attractive. Back in 2011, Google launched Wallet, a new product focused on mobile payments. It started as an Android app available for Sprint Nexus S phones that used the NFC chip to make credit card payments at physical stores in the US. Since then, the app started to support a few other phones, mostly from Sprint. Google Checkout merged with Google Wallet, but it still remained a distinct product focused on online shopping and available internationally. Now Google announces that Checkout will be discontinued. 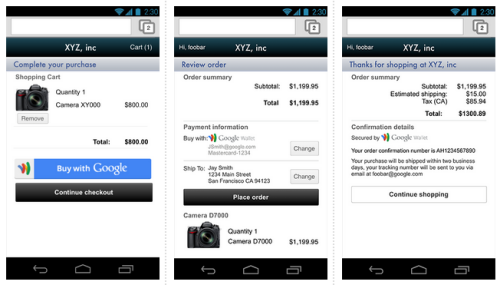 "Merchants can continue to accept payments using Google Checkout until November 20, 2013. If you don't have your own payment processing, you will need to transition to a different solution within six months. To make things easier, we've partnered with Braintree, Shopify and Freshbooks to offer you discounted migration options. If you are a U.S. merchant that does have payment processing, you can apply for Google Wallet Instant Buy, which offers a fast buying experience to Google Wallet shoppers." Instant Buy is a simplified version of Google Checkout that has no fees because Google no longer processes payments. Instead, Google "passes a Virtual OneTime Card, a MasterCard-branded virtual prepaid debit card product that can only be used for the specific purchase for which it was issued. Using this card, merchants can process payments with their existing payment processor." Instant Buy is tied to Google Accounts and it's faster to use than the regular checkout experience, especially on mobile devices. Right now, Instant Buy is only available in the US. Since Google Wallet is mostly a US-only service, users outside US will be limited to Google Play, other Google services and some web apps. Google has recently announced that Gmail users in the US will be able to send money using a new button from the Gmail interface. There's also Wallet for Digital Goods, an API for in-app payments limited to web apps, and it works outside US. For now, Wallet remains a product with limited availability and many disjointed features. The virtual wallet that stores information about your credit cards, coupons, loyalty cards, gift cards, tickets and makes payments frictionless is still a work in progress. Google has a huge opportunity to create a successful product for payments: it owns Google Play, it can integrate it with Android and Chrome, not to mention Google Shopping and Google+. Google now has the most popular search engine, online video service, ad network, analytics service, webmail site, the most popular browser and the #1 mobile operating system.